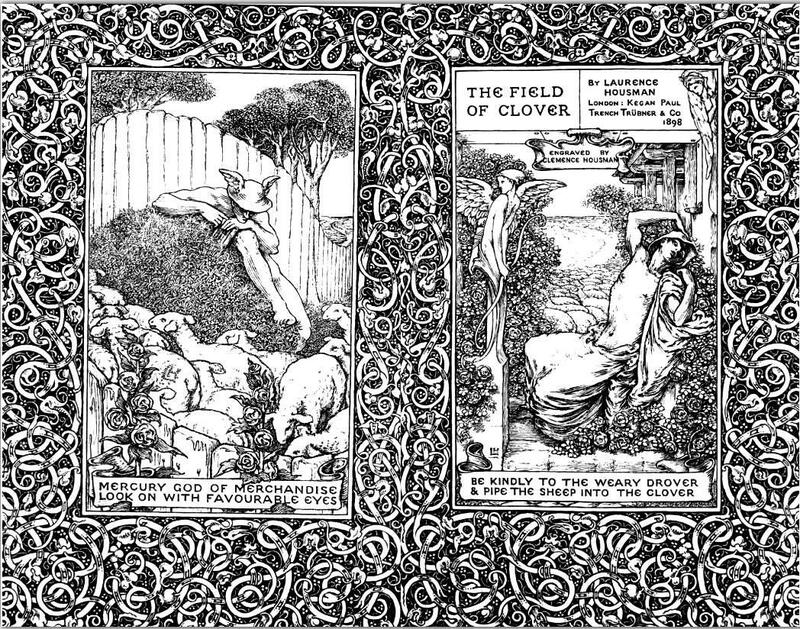 "Laurence Housman, one of the most innovative or influential of the 1890s, in a brief career of less than ten years, created some of the most striking black and white illustrations of the period. His original meticulously drawn pen and ink drawings remain rare today. 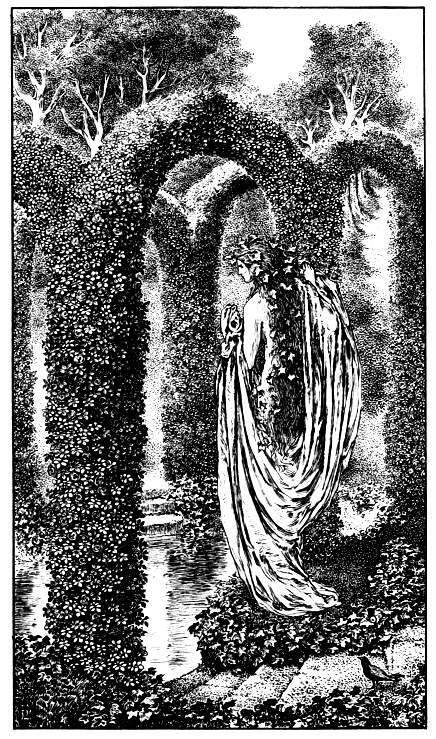 His first sucsess was his illustrated edition of Christina Rossetti's Goblin Market. This work is now considered Housman's masterpiece. 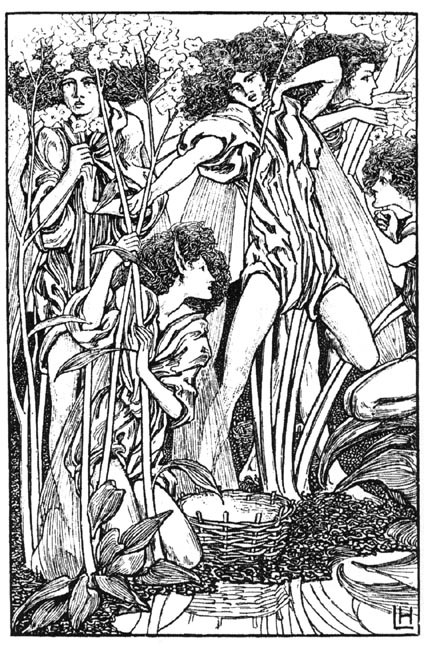 Housman's illustrations and decorations were innovative attempts at creating from his self-professed 'Freakish imagination'" (Fairy Folk). Another poem which I illustrated about this time Christina Rossetti's Goblin Market, I did of my own choice, author and publisher consenting. But this time I did not satisfy the person who mattered most. I had hoped to get word that my drawings had pleased her; but the only comment that reached me was her answer to a congratulating friend who liked them. She shook her head, saying, I don't think my Goblins were quite so ugly. From another quarter they brought me better encour agement. 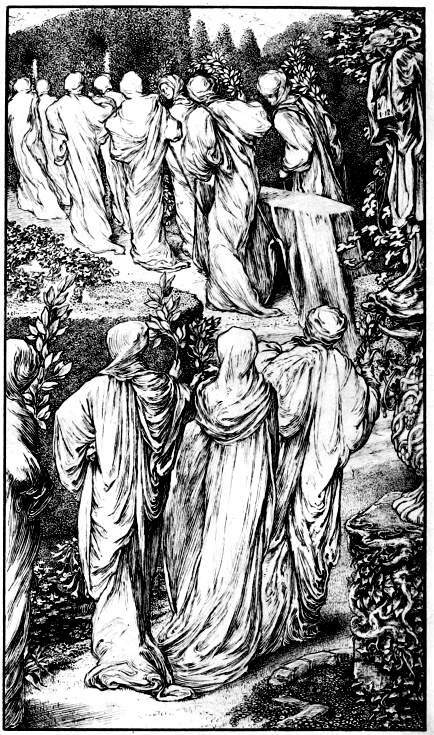 Sir Frederick Leighton, who as official head of English Academic art, kept a fatherly eye on new arrivals, sent me a letter of appreciation, and asked if I would do a drawing for him. 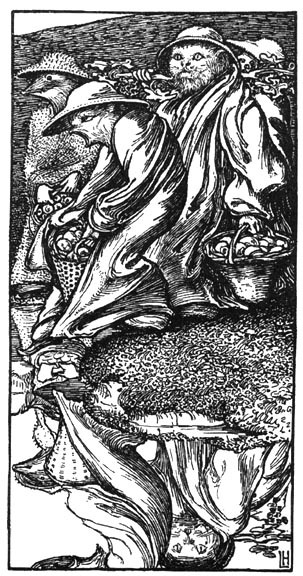 Eventually he chose my title-page design to Goblin Market, saying that what struck him most in my work was the combination of figures with decoration. After Leighton came Aubrey Beardsley, asking me to do a drawing for The Yellow Book. Fairy Folk in Fairy Land. London: Peter Naham at Leicester Galleries, 1997. Wild, Jonathan. “A loosening of silk ribbons: Laurence Housman, John Murray, and the publishing sensation of 1900.” Times Literary Supplement (November 2, 2012): 14-15.